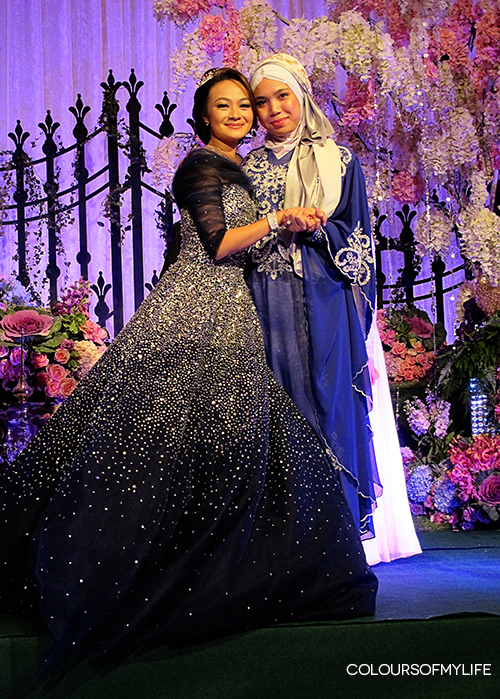 If you liked Nona and Mateen's first wedding reception you would like their second one too but for different reasons. 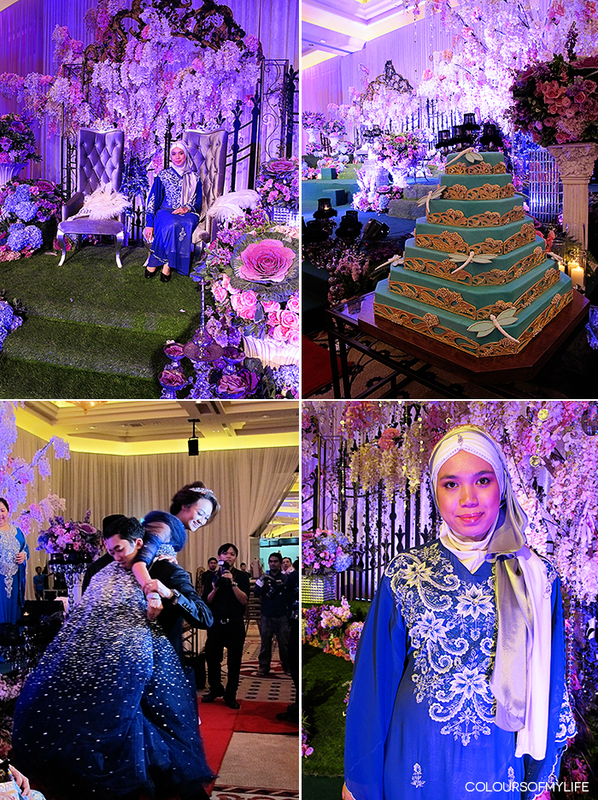 The first reception was elegantly traditional whereas the second reception which was hosted by Mateen's family was unique or as Malaysians would say 'lain daripada yang lain' (different than the rest) and a little 'out of this world' because its theme was 'Alice in Wonderland'! 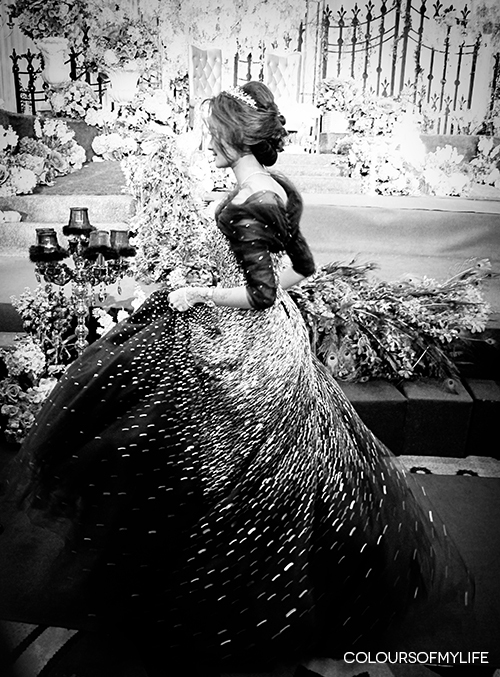 To be honest, I had no idea what to expect that night but I was mesmerised by how amazing she looked. 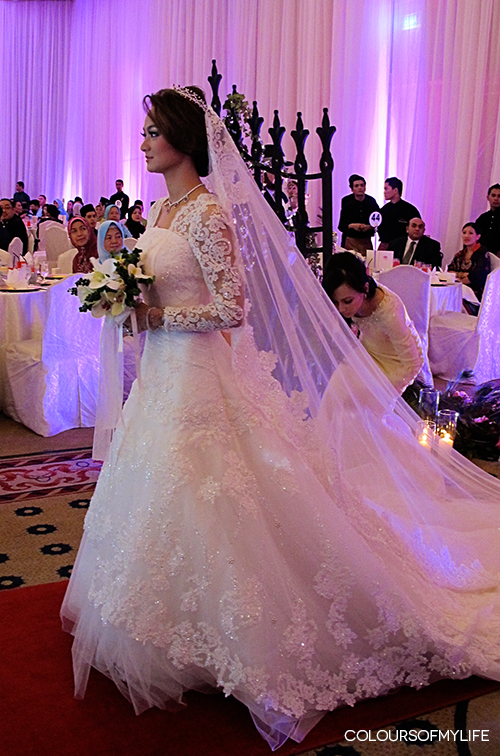 What she wore were unlike any other wedding dresses I had seen in Malaysian weddings. Why don't you see for yourself? Dress #1 took everyone's breath away. She looked every bit like a princess bride. Very Kate Middleton. 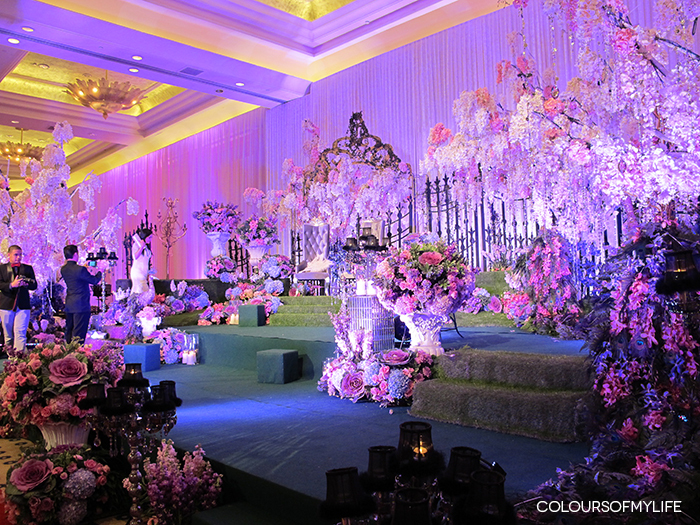 The guests marvelled at the Alice in Wonderland themed dais. There were faux peacocks, candles and plenty of blossoms. Dress #2 was midnight blue with crystals that shined like stars. Another jaw-dropper. 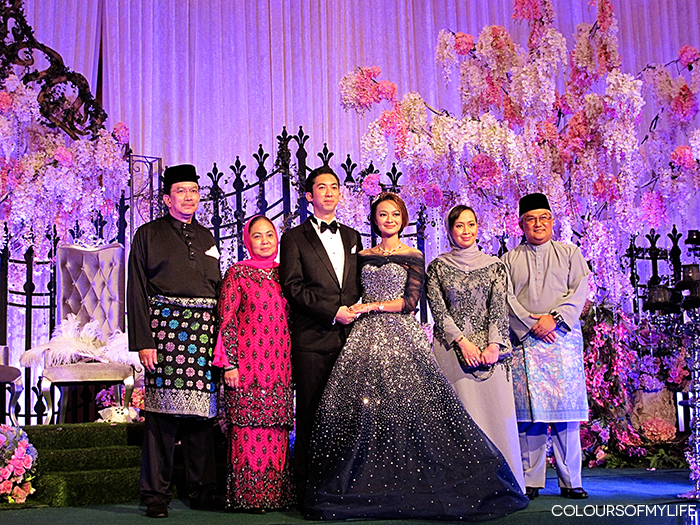 The bride and groom with their respective parents. Who can resist taking photos on the dais? It was like being on the set of a fairytale movie! Doesn't she look stunning? MashaAllah. 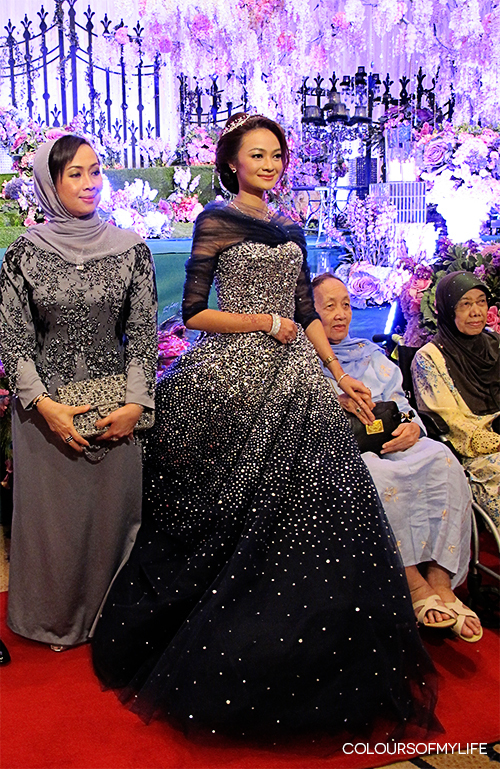 wow, super duper awesome and beautiful..
She looks stunning, so beautiful MashaAllah, and I'm in love with the two dresses! Sha, you're making ME want to get married. Stopppp. Hahahah. Beautiful masha Allah. 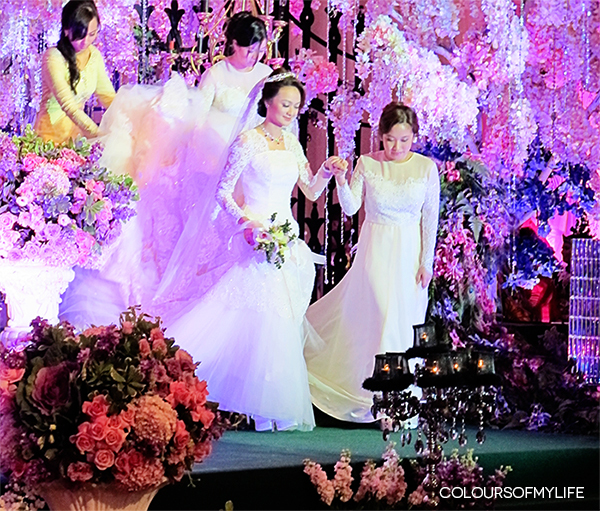 I think I've said this before but Malaysian weddings are inspirational. Oh my God! 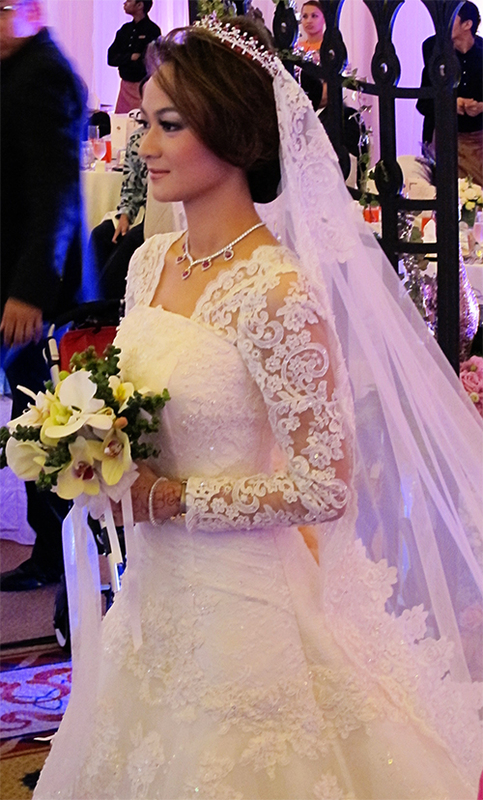 This is a BEAUTIFUL wedding dress! 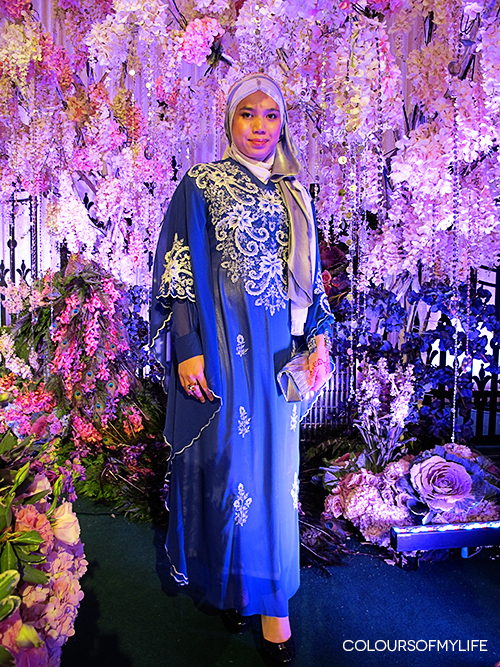 It makes me want to get married right now just to wear something like that!